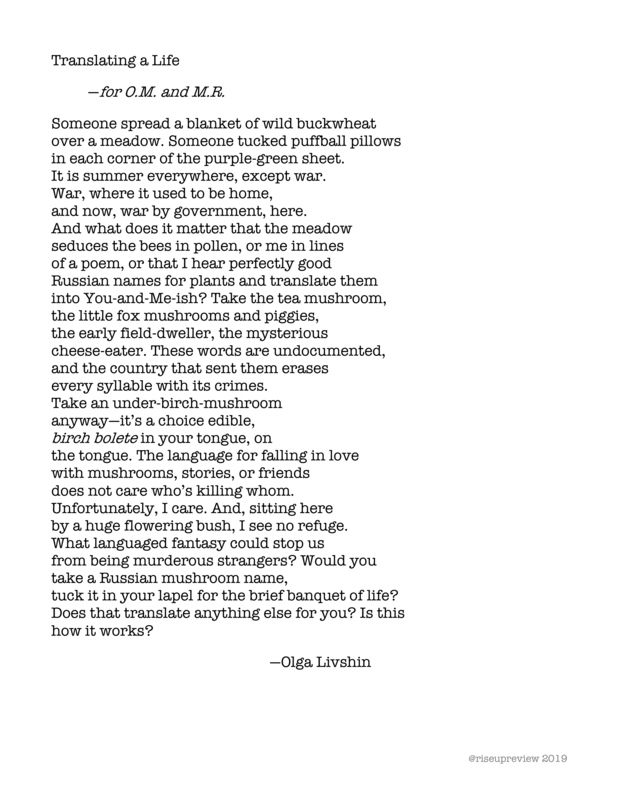 Olga Livshin's poetry, essays, and translations from Russian appear in Kenyon Review, Poetry International, International Poetry Review, and other journals. Recent work is recognized by CALYX journal's Lois Cranston Memorial Award, the Gabo Translation Prize, and other competitions, and was translated into Persian by Mohsen Emadi. She lives near Philadelphia with her family.